Massive fish-die offs. Dead birds. A toxic stench. 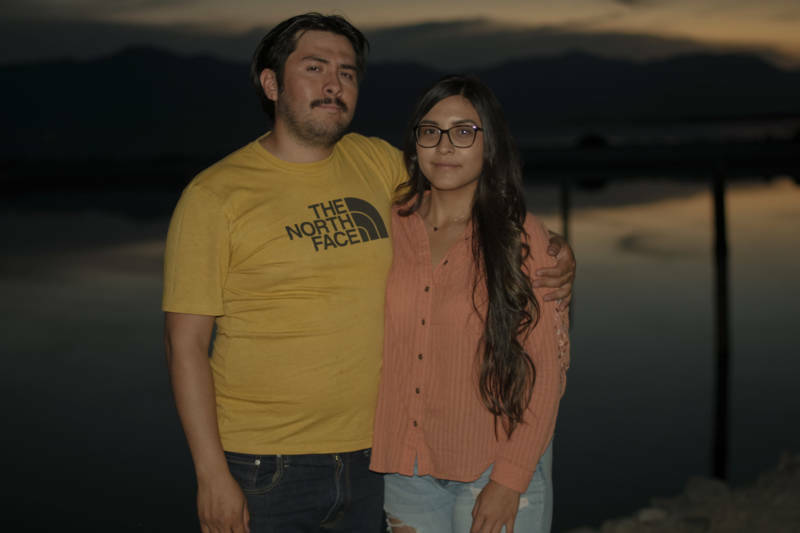 Bryan Mendez and Olivia Rodriguez are dissatisfied that those sad facts are the only things most Californians ever hear about the Salton Sea, one of the largest inland seas in the world. Rodriguez, 25, and and Mendez, 24, have made a film together about the Salton Sea with the goal of amplifying the voices of local residents, and young people, in conjunction with Coachella Unincorporated, a local youth journalism outlet. The Salton Sea was formed in the early 1900s, when engineers dug irrigation canals from the Colorado River into the Coachella Valley. 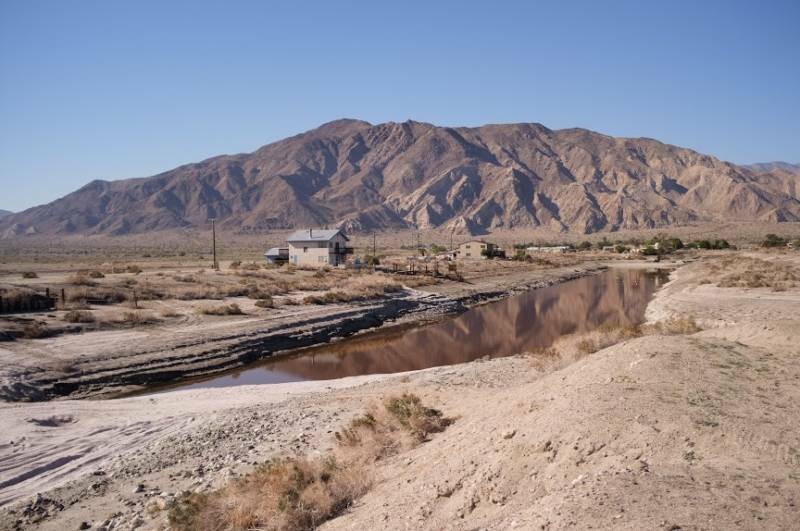 Though the original purpose was to bring a flow of water for the area's farming, the poorly built canals spilled over, creating the Salton Sea. In the 1940s and '50s, the white sand beaches and blue water of the Salton Sea lured more visitors than Yosemite. It was a playground for Hollywood celebrities through the 1960s, including the Rat Pack and the Beach Boys. But today, the Salton Sea is only an enticing blue from a distance. Up close, it’s murky. Pesticides from nearby farms have poisoned the water. 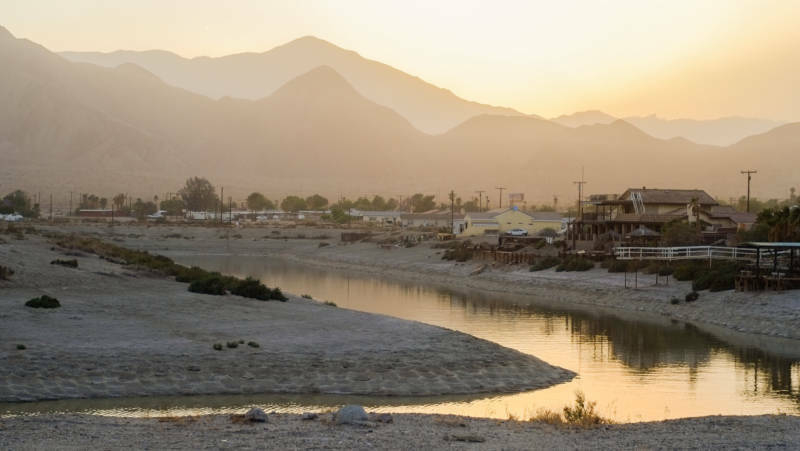 Fresh water from the Colorado River has been diverted elsewhere, to cities and farms. So this huge lake is drying up, exposing more of the white sand beach that, it turns out, isn’t exactly sand. Mendez loves to photograph the weird, crumbling remains of beach shacks, abandoned hotels, and docks where celebrities used to park their yachts. Mendez and Rodriguez both say that despite the decay, they find beauty here, watching the clouds reflect on the water, looking out at the mountains in the distance. Rodriguez worries that strong winds blowing off the sea bring toxic dust from the dried-up seabed to nearby farmworker communities. And she suspects that’s causing health problems. She's not the only one. Studies have linked the dust storms that blow through the Salton Sea with human health problems. And childhood asthma hospitalization rates in Imperial County, just southeast of the Coachella Valley, are the highest in California. Dirt particles in the air are known to cause respiratory health problems. Their film features residents like Conchita Pozar, who say the dust is giving her kids nosebleeds. When Rodriguez and Mendez take me to meet her, she’s frantically sweeping dust out of her house. “When the wind picks up, there’s so much dust we can’t go outside,” she says in Spanish. “But in spring and summer, it all blows in the house when we turn the air conditioning on." 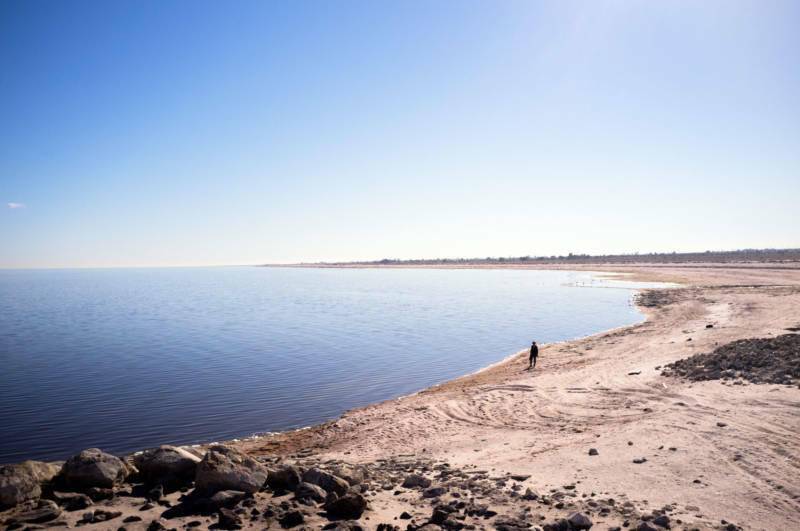 Scientists don’t know exactly what the dust from the Salton Sea does to human lungs, but many locals, like Pozar, suspect it’s making high asthma rates here even worse. In December, Pozar’s house became a gathering spot for her neighbors who wanted to take action about environmental issues here. She welcomed a dozen of them to a meeting under the carport next to her house, where she set up folding chairs and brought out bottles of water for everyone. Pozar told the group a story about traveling a long way to try and speak at a meeting of scientists and policymakers debating a 10-year plan to help the Salton Sea. She said she never got her turn to tell them about how the dust blows into her house. “Maybe if I had a doctorate, or maybe, I hate to say it, if I had blue eyes and blonde hair, I would have been treated differently,” she added. 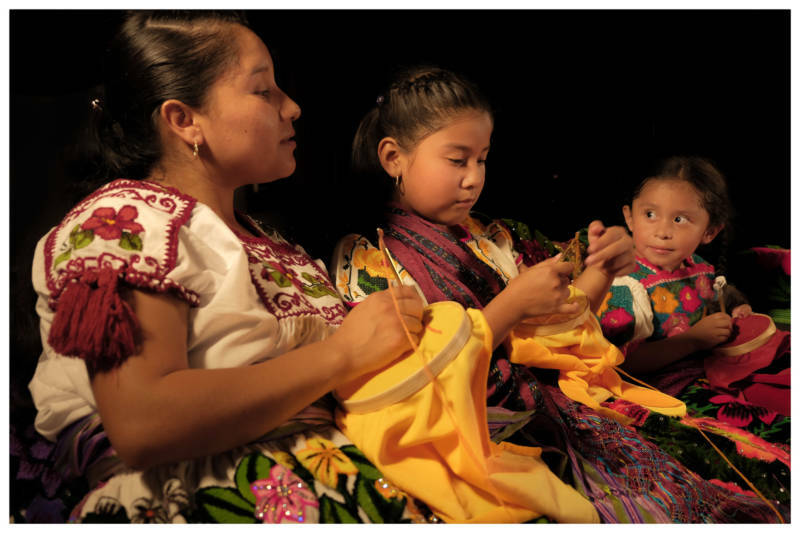 Pozar is Purepecha, an indigenous group from Michoacán, Mexico. The Eastern Coachella Valley is home to one of the largest communities of Purepecha migrants in the U.S.
“I’m proud to be indigenous," she says. "And I tell my daughters they should be, too." Rodriguez and Mendez say lawmakers who come to snap pictures of the sea don’t seem to recognize that people like Pozar live on its shores. Nor, do the people out here who see Coachella as their playground, like the concert-goers who come to the annual festival.